In this small world of sport fishing outfitters, we seem to all work together in one way or another. Below are a few of the folks we enjoy doing business with. 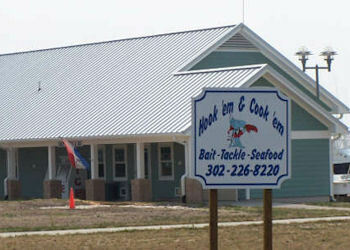 Store owner Bill O'Brien was one of the original founders of Tackle Cove. Jamie and Bill started selling on line through Tackle Cove in 2009. Bill has since turned his focus to his custom rod business - designing and custom building some of the finest rods on the East Coast. Bill has been designing and building custom rods for over 20 years. He and Joe Cap continue build mind blowing masterpieces everyday. Stop in and check out the custom rod display or load up on gear for the season. In addition to his custom rods, Bill offers the full line of Tackle Cove rods at the shop. 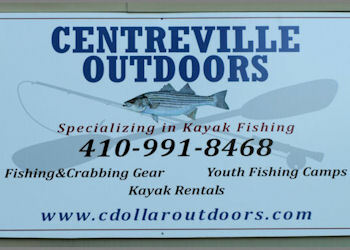 Chris Dollar opened up a new shop in Centreville in 2012. Chris sells kayak gear and manages his kayak rental and kids camps from the store. The store is located right next to the town landing - a great place to launch for a day of fishing the rivers or heading out to the Bay. You can also find the full line up of Tackle Cove rods and gear at the shop. Bert owns two stores down at the beach - one on Indian River Inlet and one in South Bethany. We got together with Bert three or 4 years ago to discuss designing a jetty and a surf rod to meet the needs of folks fishing the Mid-Atlantic surf. After quite a few trials and tribulations, we landed on the IROC 814 and the IROC 1025 - and 8 foot jetty rod and a 10 foot surf rod. IROC was Bert's tag line - Indian River / Ocean City. Catchy. 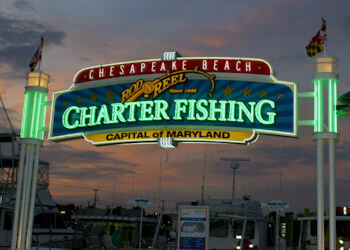 Rod N Reel sponsors one of the largest Rockfish tournaments on the Chesapeake each Spring. We've enjoyed working with Darrel and the crew for the past couple years. 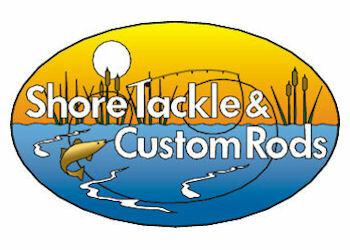 We help sponsor the tournament, they sell our rods the Tackle Cove rods in the shop. It's a nice symbiotic relationship. Darrel was the instigator on the 5'6" trolling rod. We was sure the charter guys would love a shorter rod for the rocket launchers - running lures off the planers. He is a wise man. They have done well.